Your favourite food, delivered by us. 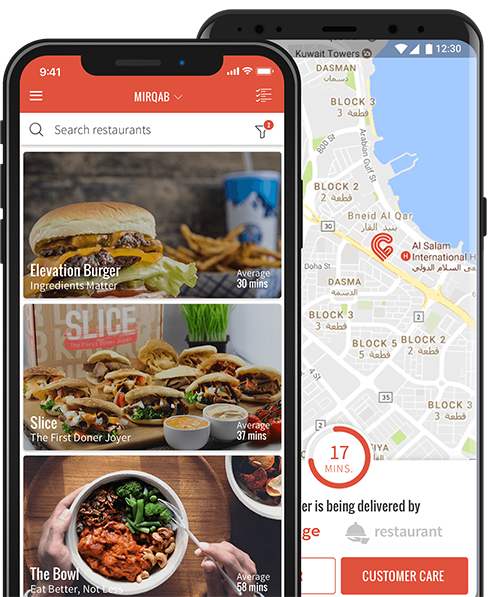 Carriage is a platform that aims to provide the best food delivery service in Kuwait. We want your food to arrive as fast as possible, and in the best condition possible. We have no minimum charge and you can even live-track your orders with us! Delivered faster to your door.! More than 2000 restaurants, and our simple and easy to use app. food ordering is just a click away.